Godzilla fans across the world mourn the loss of the man behind the monster. Haruo Nakajima, the original actor who donned the suit, has passed away at the age of 88. Mr. Nakajima was a pioneer who helped start the kaiju genre with 1954’s Godzilla. He continued to portray everyone’s favorite monster in a dozen films over 18 years, before turning the mantle over to Kenpachirô Satsuma. 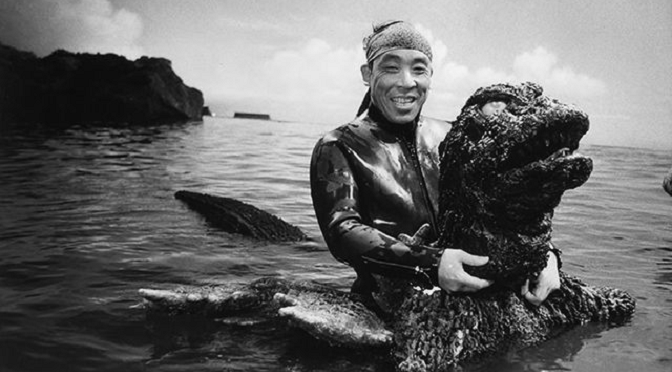 Haruo Nakajima’s fame stretched beyond Godzilla, as he acted in dozens of films from the 1950’s to 1970’s as well as the Ultra Series television shows. After retiring, he was a favorite at numerous conventions and fan events. Generalist, polymath, jack-of-all-trades... Brook has degrees in Human Behavior and Psychology and has majored in everything from computers to business. He's worked a variety of jobs, including theater, security, emergency communications, and human services. He currently resides outside Baltimore where he tries to balance children, local politics, hobbies, and work. Brook is HoH and a major Deaf/Hard-of-Hearing advocate, a lifelong gamer (from table-top to computer), loves everything paranormal, and is a Horror-movie buff.